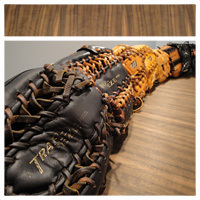 WWW.GLOVE-WORKS.COM BASEBALL GLOVE COLLECTOR FORUM • View topic - Happy Holiday's Glovers! Post subject: Happy Holiday's Glovers! 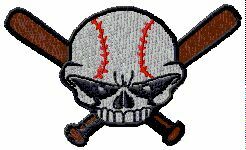 I have been away from the forum for quite some time.....extremely busy with work and also glove repair. Just wanted to reach out to our members and wish you all a Merry Christmas and Very Happy and Safe New Year! Post subject: Re: Happy Holiday's Glovers! Back to you and the rest of the G-W community! Relieved you were busy with work and not with medical stuff. Good to hear from you, Mike. Happy holidays to you too, boss. Nice to hear from you Mike! I've also been busy and away from the forum for a while but I'm always checking in. I like the community here! Merry Christmas everyone! Good to know everything is well. Merry Christmas to everyone! Merry Christmas Wake & GW Crew! Merry Chriatmas Mike, I do try to check the site everyday if possible and it's been a little slow due to the winter I guess and the Holidays. Went on today and saw quite a few new posts which I was glad to read. Merry Christmas to all the board members.